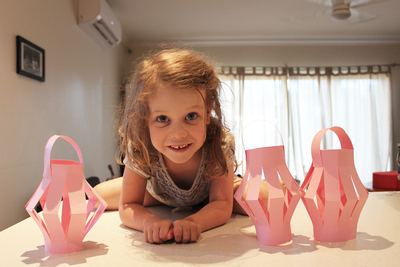 Chinese lanterns are a fun and easy craft activity for the kids. Make them around the time of Chinese New Year or the Mid Autumn Festival and they become a great way to teach kids about other cultures and festivals. Of course, they're not just for kids, make them in all colours and hand them up next time you have a party. You can even string fairy lights through them to add some lights. 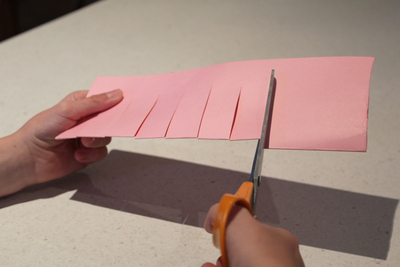 Take your paper and cut a strip off the side. About 1.5-2cm Thick. 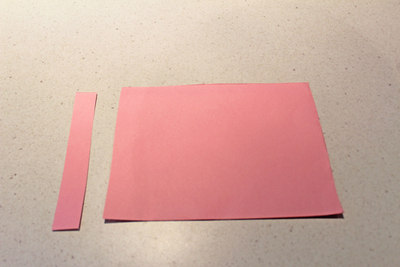 Fold the paper in half lengthways. 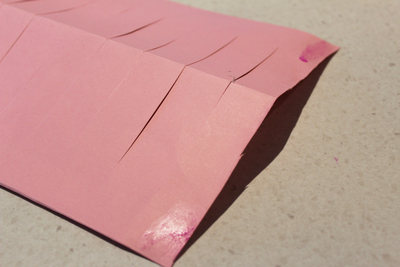 Start from the folded end, and make cuts up the lantern. 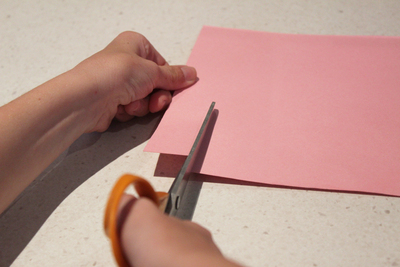 Stop 1.5-2cm from the top, make sure you do not cut it all the way through. 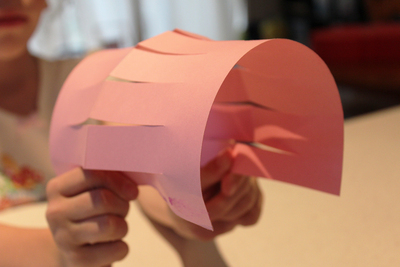 Unfold, if using glue put it on two corners of the lantern. 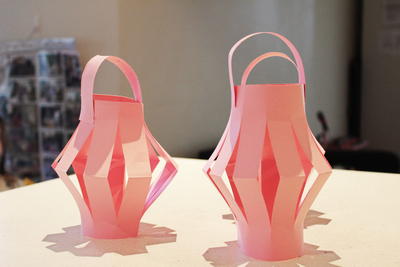 Fold the lantern round, joining up both ends. If you're using a stapler, staple at both ends. 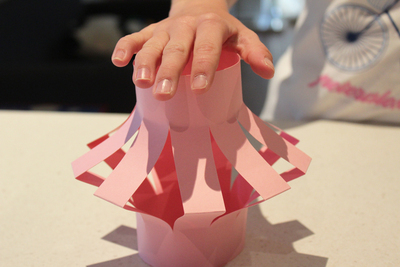 Push down on the top of the lantern so that the folds are more pronounced. Glue or staple the handle to the top of the lantern. 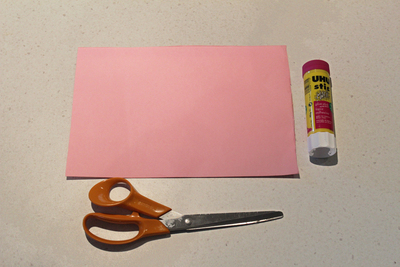 If you're using glue, leave them for a while to dry before hanging them or playing with them. The benefit of staples is that they are fine to use straight away.